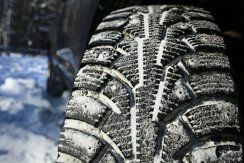 Getting your vehicle ready for winter involves much more than installing winter tires. 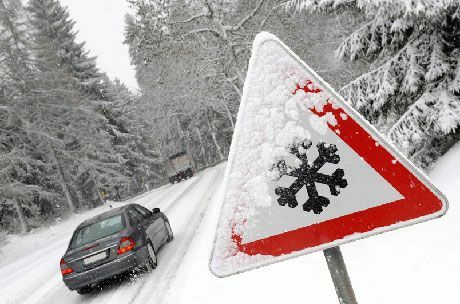 Winter driving can be traitorous and your driving habits must reflect the weather and road conditions. Staying alert is extremely important when driving in adverse weather conditions. Keep your focus on the road and on other vehicles; eliminate distractions such as a cell phone and searching for your favorite radio station. Slowing down and keeping a safe distance between you and the vehicle in front of you will eliminate having to brake suddenly especially in icy road conditions. Make sure you know how to handle your vehicle in all weather conditions, a defensive driving course can be a useful tool to ensure you are comfortable behind the wheel when faced with a challenging situation. Now that you are ready, what can you do to get your vehicle ready to face the cold weather? Change your windshield washer fluid to a -40 C and carry an extra jug in your vehicle, if your wiper blades cause streaking it may be a good time to replace these also. Carry a safety kit in your vehicle it should contain items such as a shovel, warm clothes or blanket, booster cables, first aid kit, flashlight, food/water, candle and matches. Top up your gas tank, plan ahead and make sure you have enough fuel; you should always have the tank at least half full. These are just a few tips to help keep you and your vehicle safe this winter. Any other questions, don’t hesitate to contact us!